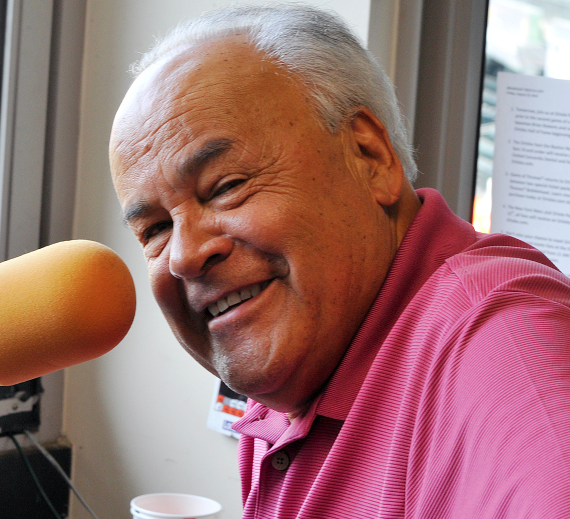 Longtime Orioles radio broadcaster Joe Angel is retiring. Angel, 71, had a one year left on his contract that the team has apparently decided not to fulfill. In an interview last year , Angel seemed to not know what lied in the future for him and admitted, "I’m 71 years old. I don’t feel like I’m 71, but I’m at the point where it may be soon time to kind of step aside and give a young guy a chance to do a what I’ve done for 41 years." Angel is a native of Bogota, Colombia. He emigrated with his family to the US as a teenager. In the 1970s Angel broadcast for the San Francisco Giants (1977–78), as well as Stanford University football and University of San Francisco basketball. Stints with the Minnesota Twins (1984–86), Baltimore Orioles (1988–90, 1992) and New York Yankees (1991) followed. In 1993, he left the Orioles to become the Florida Marlins' first radio voice, and was behind the microphone for the Marlins' first world championship in 1997. After that, he broke into baseball, working for the Minnesota Twins, New York Yankees and became the first radio voice for the newly established Florida Marlins in 1993. He had been with the Orioles since 2004. Angel’s departure will force the Orioles to make changes in their broadcast booths. Angel has most recently worked with Jim Hunter on radio broadcasts. Hunter has filled in on MASN telecasts when Gary Thorne, who is returning this season, is away. The Orioles will need to hire at least one new broadcaster. Hunter could stay in his present role or shift to be the Orioles’ new radio voice. Other longtime Orioles radio announcer Fred Manfra retired in 2017 after 25 years in the booth. Other announcers who have shared duties with Angel last year were Jim Hunter, Brian Roberts, Ben McDonald, Dave Johnson, and Gregg Olson.